The club was established by George Souter in October 1998 to create a social club for retired Brethren and their partners. 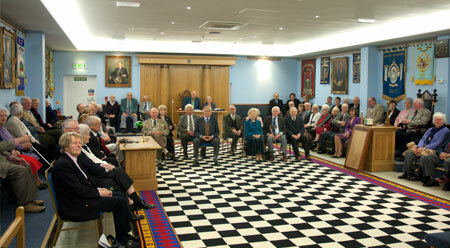 Membership was not restricted to Middlesex Masons as George realised that many retired Brethren from London and other surrounding Masonic Provinces live within a short distance from Hercies Road. 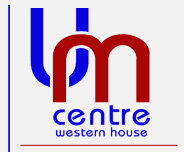 The club meets at the Western House Masonic Centre once a month with the exception of the month of August. Our meetings commence at 10.30am with a cup of coffee or tea and biscuits. 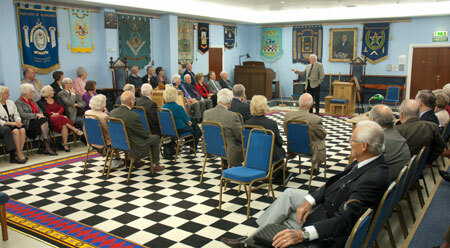 Every month a guest speaker is invited to present a talk to the club. The talks given are on a wide range of subjects that are appropriate for both male and female audiences. On occasions the club organises coach trips, or the like, to places of interest such as the Magic Circle, Boat trips down the Thames, The Code Breakers Bletchley Park, Theatre Trips, or on rare occasions even shopping trips! In addition to the social side the club has similar officers to a lodge in that the club has two almoner’s (one for the Ladies and one for the Gentlemen) who keep in touch with members making sure that they are kept up-to date with our activities etc.